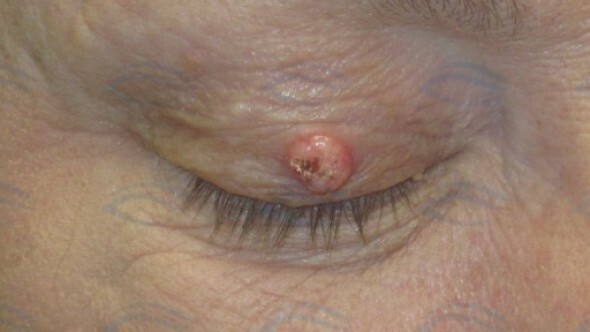 Keratoacanthoma is a skin tumour that appears like a small boil on the surface of the skin. Once it appears, it starts to grow rather rapidly and can reach a significant size within a matter of weeks. Its appearance is a rather typical and several a times, untreated keratoacanthoma is will eventually disappear though they would leave a scar. 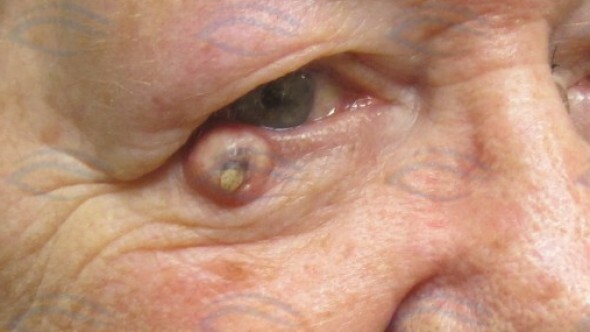 A keratoacanthoma can take up to 4 to 6 months for complete resolution. There are various types of keratoacanthoma. While a detailed discussion is out of the scope of this article, it is worthwhile remembering that keratoacanthomas may possibly be a solitary lesion (called solitary keratoacanthoma), may possibly be multiple (called multiple keratoacanthoma) or maybe a rather large (known as giant keratoacanthoma). Sometimes, multiple lesions may possibly arise in different parts the body and this is known as generalised eruptive keratoacanthoma. Similarly, multiple lesions may possibly also arise in one part of the body and this is known as keratoacanthoma centrifugum marginatum. In the event that multiple keratoacanthomas develop on the skin, surgical options may possibly not be appropriate and using drugs such as isotretinoin are useful. Steroids and other special medication such as methotrexate and bleomycin have been used with a degree of success. Treatment is best offered by expert dermatologists who have managed patients would keratoacanthomas in the past. The input of a plastic surgeon may possibly be required.